Ok in the spirit of some of my other list posts lately, here are my favourite podcasts! Being at home with a little one, I like to have background noise going on while doing my chores. I love listening to podcasts and a way to keep my mind engaged and to amuse me in what could be a potentially lonely day. I first found Stuff you missed in History Class over 3 years ago, and listened as much as I could whenever I got a chance. However it was during my maternity leave that I burned through every single back episode! I am now sadly on a ration of a couple of new episodes a week, when they are published. I like that they treat serious history in such light way, it is so interesting and engaging. I must admit I am a sucker for the episodes set further back in history and those about royalty. 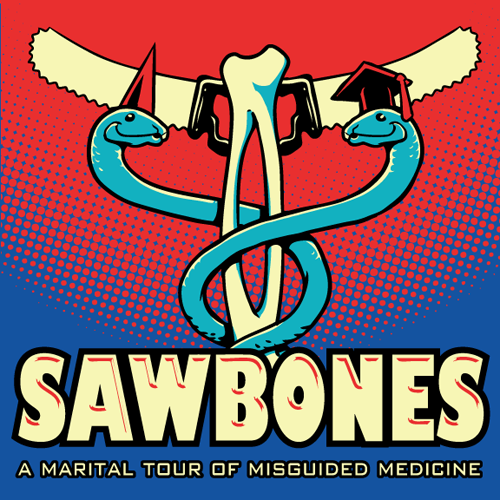 When I finished Stuff you Missed in History Class, I ask the lovely hosts what to try next, and they recommended Sawbones. Boy were they right, in my familiar pattern I burned through a their back episodes and again am on podcast rationing. The podcast is hosted by a hilarious couple who employ the straight man (or woman doctor in this case) funny man dynamic to perfection. They share the crazy things we have attempted to cure or treat illnesses in the past. I must admit that when I saw this weeks episode was "menstruation", did a little fist pump just imagining the craziness that I was in store for. I have been trying to get into some other podcast now. I have listened to about half of the episodes of "The History of the World in 100 Objects", but I honestly really miss the levity, I guess I need some laughs with my learning! I have listened to a couple by "Stuff mom never told you" and it may have some serious potential, but the jury is still out. Which Podcasts do you listen to? Can you recommend some for me? "Love Happens" to drive me crazy!